Ask any licensee what the benefit of doing regular staff training is and you’ll get a range of answers: guest satisfaction, a motivated team, staff retention, and better brand quality. But staff training is not just about the feel good factor. Investing in training has a massive commercial impact, by reducing wastage, improving yield and increasing sales. This has clearly been demonstrated by the findings of the Beer Quality Report 2017 a joint initiative between Cask Marque and Vianet. The report calculated the industry is losing out on a staggering £709 million in lost profit because of sub-standard draught beer quality. This equates to 5.8% of total on-trade beer sales in the UK. Yet, many of the quality issues raised can be resolved just through better knowledge and more time spent on training. The figures come from a combination of waste, missed till yield, over-ranging and low throughputs, alongside equipment and cellar maintenance failings and lost sales, through reduced visits and repeat purchase. The report shows that many retailers have not acted on improving beer quality following last year’s report, with the same proportion of beer served too warm. On the critical issue of line cleaning, this year’s report shows that, according to Vianet Business Insight research, one in three pints served to a UK consumer is via a line overdue a clean – again the same proportion as last year. 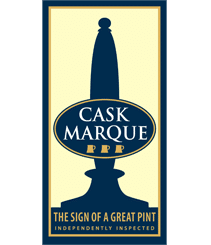 Cask Marque audits reveal that, based on visual inspection, only 72% of beer lines are perfectly clean, with the remainder of pubs failing to keep adequate records and exhibiting visible yeast build up. At a time when profitability is under unprecedented pressure for publicans, just changing a few habits, behaviours and practices can make a compelling difference to bottom line profit. To find out more about our training courses, please visit our training page.